Northeast Ohio weather is tough on exterior paint and stain. To ensure the best results there is no substitute for thorough prep work, quality-top performing materials, and proper technique and traning. We believe that if the job is worth doing, its worth doing right! We use the best products not only because they produce a finish that looks better and last longer, but frankly using the best products also makes the job easier. In the long run this saves you, are client money. We feel that there is no other painting contractor available with our combination of experience and knowledge. Thorough preparation and set up is essential for quality interior painting. At the Swift Painting Company you can expect our craftspeople to manage every detail of your project. We will protect your furnishings, floors, cabinets and counter tops. Sand, caulk, fill, and prime surfaces preperation. Extra care is always given to be neat and clean throughout the entire job. Your work will be done exactly as contracted and scheduled. You can expect this and more form The Swift Painting Company. We offer several important carpentry services to our customers related to both interior and exterior needs. We can provide: installation of moldings, paneling, new sideing, replacment doors and windows, new replacement cabinets, deck and porch repairs and wood replacement as well as many other carpentry needs. Just ask... there is a good chance we know how to do the job you need to have done. 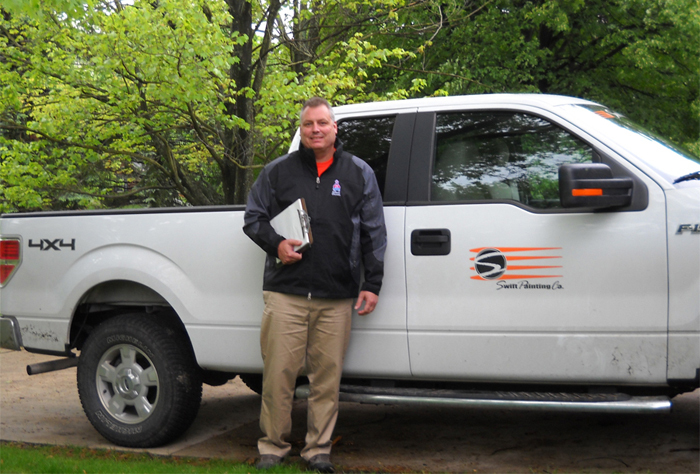 Swift Painting also has a large base of commercial and industrial clients. Property owners or managers benefit from using the Swift Painting Company because our large well trained staff can turn around an office space or empty buildings quickly to get back on the leasing market. Business owners benefit from both our experience and efficient painting services in that the job is done in such a way that down time is kept to a minimum or none at all. remember a clean bright enviroment has been proven to increase employee effiency. We have large referral base consisting og building owners and mangers, banks, machine shops, warehouses, schools, hospitals, nursing homes, condo associations and many other privately owned businesses. With over 30 years of wallpaper installation and painting experience in Ohio, Swift Painting Company offers high quality wallcovering installation in Cleveland and nearby areas with options that include delicate fabrics, custom murals, vinyl wallcovering, walltalkers and more. Our wide range of expertise allows us to offer you the best results in your wallpaper installation. We offer wallcovering installation as well as wallpaper removal. We also install decorative wall murals and custom wallpaper that is specific to the needs of each client. With over 30 years of dry wall and plaster work Swift Painting can to it all. We can repair any wall damage kind of wall damage you have and you wont have to call anyone else. Nails or screws popping, Stress crack, Patch small hole(s), Patch larger hole(s), Replace with new drywall, Water damage in wall(s), Water damage in ceiling(s), Water damage around tub/shower or any other problems you come across. 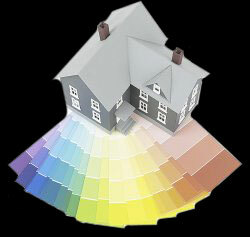 Swift Painting Company is capible of doing many things for you. Power washing is a great way to make your house look new. Dirt, grime and mildew can collect on your home and if not cleaned in a timely fashion, it can cause costly repairs, renovations, and/or replacements. These contaminates are removable without using excessive water pressure which can also cause damage to the siding, by using contractor grade cleaners. So call Swift Painting for a good safe clean.